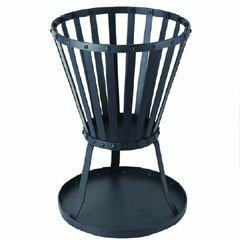 We are delighted to offer the brilliant Patio Fire Pit Firepit Steel Basket Brazier Outdoor Heater Garden - Black. With so many on offer recently, it is great to have a name you can trust. 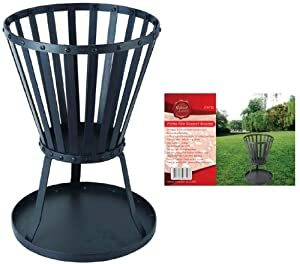 The Patio Fire Pit Firepit Steel Basket Brazier Outdoor Heater Garden - Black is certainly that and will be a excellent acquisition. 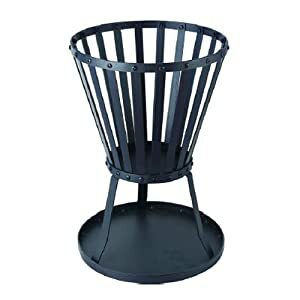 For this great price, the Patio Fire Pit Firepit Steel Basket Brazier Outdoor Heater Garden - Black is widely recommended and is a regular choice for lots of people. HAMBLE DISTRIBUTION have provided some nice touches and this means great value for money. 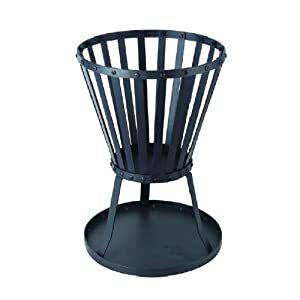 Add warmth and ambience to your patio or garden at night with this well designed Patio Fire Basket Brazier. Invite friends and family to join you for drinks and load it with glowing coals to provide hours of lovely warmth. Manufactured from steel making it robust and durable it burns all solid fuels and comes with an integral base to collect the embers. For outdoor use onlyEasy assemblyDimensions: 35cm diameter x 50cm highWeight: 3.2kgFor ideas or inspiration for your garden décor please click here to view our range of garden ornamentation and decoration.